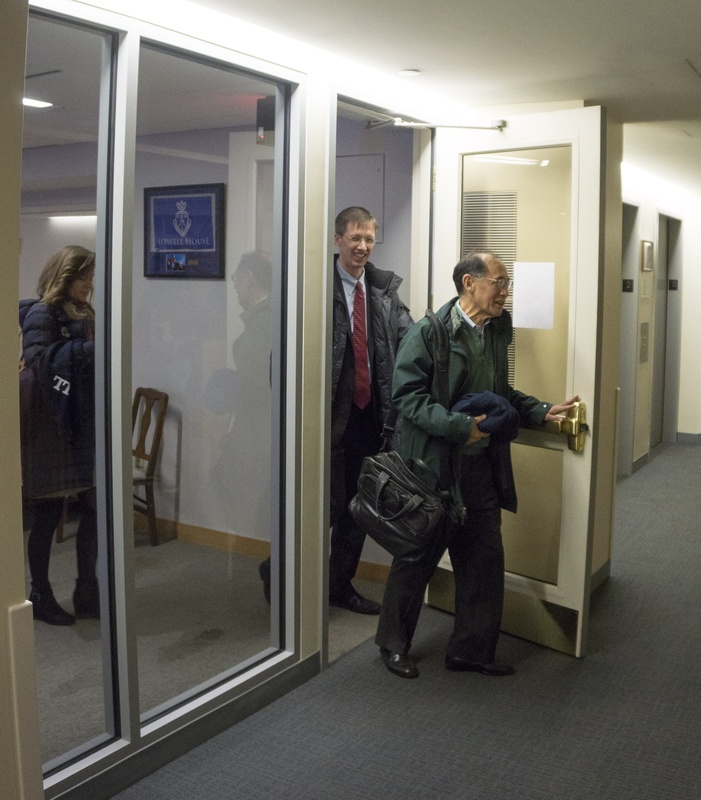 Harvard University Lawyer William F. Lee exits the Pechet Room in Lowell House after an hour-long, off-the-record discussion of the admissions lawsuit in November. Harvard and Students for Fair Admissions continued to spar over whether the College’s admissions process discriminates against Asian-American applicants in clashing court filings submitted Wednesday. 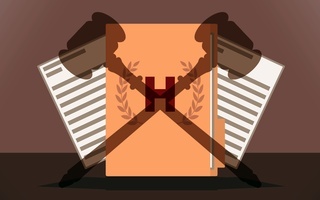 In the documents — rebuttals to the “proposed findings of fact” and “proposed conclusions of the law” that each side submitted in December — Harvard and SFFA object to each other’s interpretations of the most relevant evidence and testimony from a three-week trial that began in mid-October. The filings are the latest development in a five-year lawsuit that could determine the fate of affirmative action at private colleges and universities nationwide. SFFA originally sued Harvard in 2014, arguing the College’s admissions protocols discriminate against Asian-American applicants. SFFA’s brief alleges that Harvard engages in racial balancing in the College’s admissions process. Lawyers for the organization scrutinized the 259 claims that lawyers for Harvard made in their December filing, concluding that just 10 are “accurate,” while the other 249 were “inaccurate,” “incomplete,” or “misleading,” according to the SFFA document. Lawyers for SFFA argue in their brief that Harvard’s admissions process discriminates against some College hopefuls because being Asian American has a “negative effect” on an applicant’s personal rating — a numerical rating assigned to applicants that scores them on qualities including humor and grit. They allege the University has not seriously explored race-neutral admissions policies. 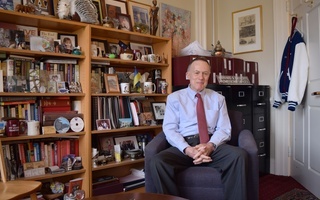 Harvard’s lawyers defended the College’s admissions protocols, arguing the “Court should enter judgment in Harvard’s favor” on all issues Burroughs is currently considering. The University’s attorneys argued a race-conscious admissions process is the only way to secure diversity on campus, and they attributed the lower personal ratings that some Asian-American applicants received to high school recommenders and alumni interviewers, rather than admissions officers. They also contended the school had explored non-race-conscious admissions options and found they would not result in a diverse enough student body. The two sides also sparred over who should shoulder the burden of proof in the case. 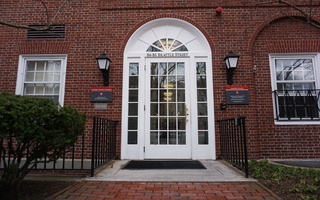 SFFA claimed the University has a burden of proof to show that it does not discriminate, while lawyers for Harvard argued the plaintiff needs to prove conscious “racial animus” toward Asian-American applicants in order to show discrimination. 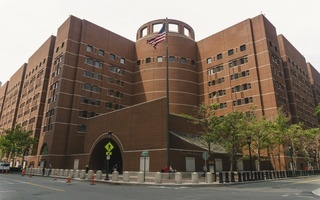 Legal standards of proof were not the only topic of contention in Wednesday’s filings; the two sides also continued their long-standing argument over admissions data that formed a key part of the evidence presented at trial. SFFA called Harvard’s objections to Arcidiacono’s analysis “disappointing,” and argued he designed his model to compare “apples-to-apples” and eliminate all metrics in the admissions process that race influences, including personality ratings. SFFA also attacked the analysis conducted by David E. Card, a University of California, Berkeley professor and Harvard’s hired expert, whose statistical model found that Asian-Americans are not the target of discrimination. Lawyers for the group argued Card did not adequately investigate whether an applicant's race influences his or her personal scores. Harvard’s attorneys defended Card’s analysis in their filing. On Feb. 13, lawyers representing Harvard and SFFA will have another opportunity to make post-trial closing arguments in front of Burroughs, who is expected to issue her decision in the months following the hearing. Legal experts have said they expect that whichever side loses will appeal, and the case could end up in front of the United States Supreme Court.